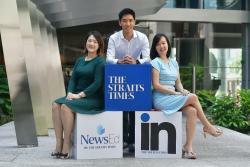 Those eager to write better for work can now tap their SkillsFuture credits to brush up on their English. 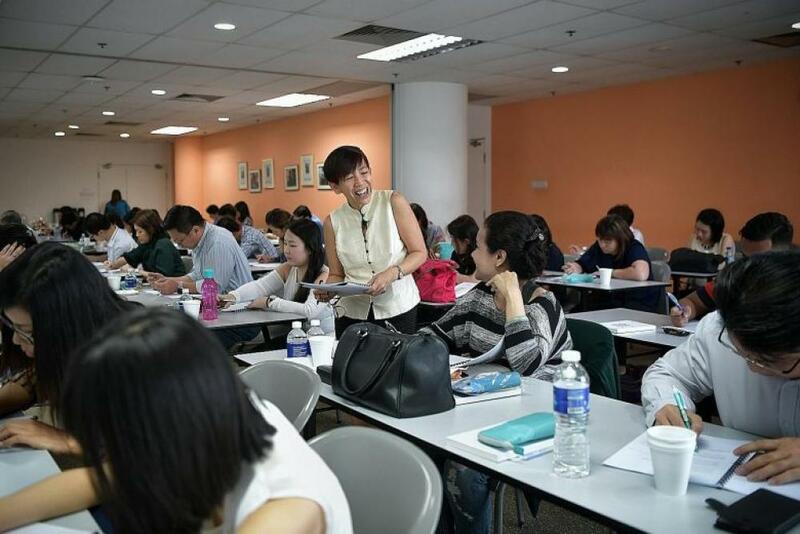 The Straits Times English Masterclass course, designed to help working adults improve their writing, is now approved by SkillsFuture Singapore. Those who sign up for The Straits Times English course can use their SkillsFuture credits to offset the course fee of $499 per participant. The SkillsFuture Credit scheme was started in 2016, and all Singaporeans aged 25 and above have an opening credit of $500. The seven-hour masterclass aims to help adults write simply and effectively by addressing many of the common mistakes. Participants are given tips on how to avoid common spelling and grammatical errors. They will also be shown how to compose e-mails that will get their message across clearly as well as other language "survival skills" to improve their work performance. Mr Warren Fernandez, The Straits Times editor and Singapore Press Holdings' editor-in-chief for its English/Malay/Tamil Media group, said: "Over the years, we have received many requests to run English language programmes from various partners, to play on our strength as an English language newsroom. People want help to write more clearly or creatively. "We don't claim to be experts, but our reporters do strive to tell stories in compelling and coherent ways. In so far as we are able to share those skills, we are happy to do so." 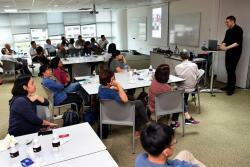 The class is conducted by Ms Angelina Choy, a Straits Times journalist with more than 30 years of experience in subediting, visual journalism, writing and training. She said: "Writing clearly is a life skill for everyone, and we hope people will use their SkillsFuture Credit for something as useful as this - learning how to make their point easily and effectively." Fire officer Ng Keng Lye, 38, attended the first Executive Edition masterclass held last December. He said he used to struggle with writing reports, making mistakes such as using bad English. "My bosses told me then that my writing was too long-winded and often sent back my reports for amendments." In attending the course, he said he learnt to write succinctly and also picked up useful tips such as the need to review his work. "Producing clean and concise copy in my reports is more efficient for the workflow as my bosses can read and approve my reports more quickly." Education officerJenny Ng, 58, enjoyed Ms Choy's sharing of examples of how journalists write their news reports. She said the masterclass was well structured and productive, with hands-on writing exercises to reinforce learning. 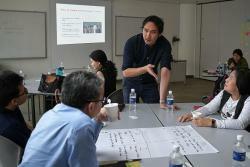 Ms Ng said: "I signed up for the masterclass as part of self-development. No matter what level you are at, you have to write, whether reports or e-mails. The masterclass was refreshing, and it reminded me of the importance of communicating well and clearly." 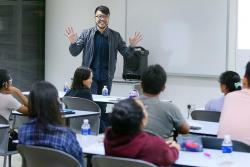 The English Masterclass is the first of a series of work-related training programmes that The Straits Times will be rolling out to help adults hone their professional and work skills. Details of a Mobile Video workshop, where participants can learn from digital editors ways to shoot and produce good-quality video clips with just their smartphones, will be made known soon.